Last year before the release of Avast security for Mac I also posted about Sophos Antivirus For Macintosh here that also many people use. So now you have two choices either Sophos or Avast depending upon if you need a free security for your Macintosh or a paid one which would be for sure a better solution like Kaspersky, Norton and Others. 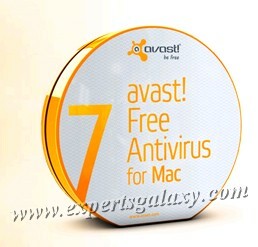 Avast`s version for Macintosh is in beta now and once it will be released as a final version, I can straight away recommend it for Windows as well as Macintosh. If you use a different security product to protect your Apple machine, do let us know which one and why you think its a better one than any other.